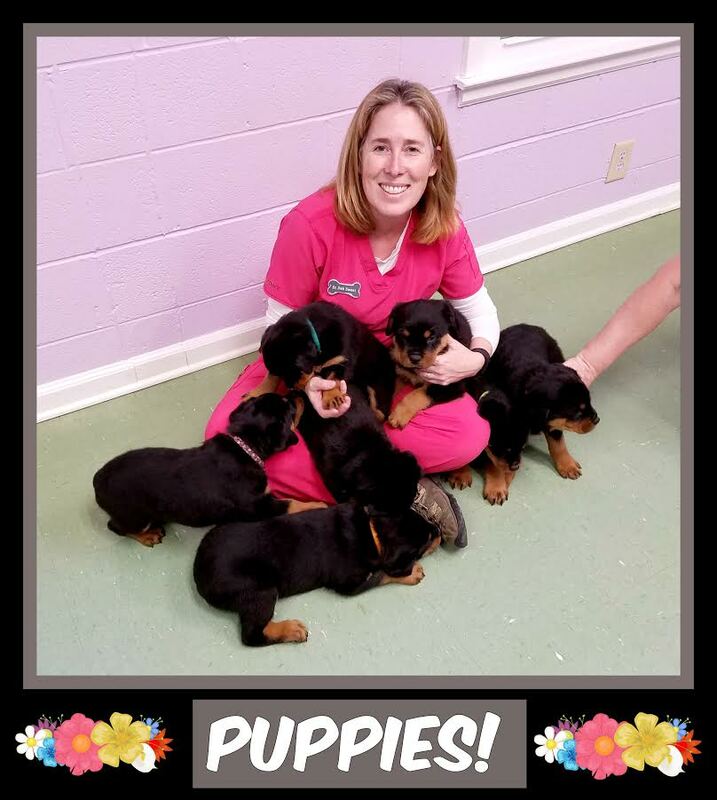 Dr. Sweet saw FIFTEEN puppies the other day! That's FIFTEEN adorable, playful and cuddly puppies! From two different litters, born just a day apart, they came in for their first vet check and passed with flying colors. Dr. Sweet couldn't resist getting on the floor to play with them and was instantly covered with their kisses and love. It's been a busy week here at Hope Crossing- so there's nothing better than taking a moment and loving on some incredible pups. Today we'll be seeing ten bull mastiff puppies and can't wait to get some great pictures of them too!